The popular British crime drama will be airing on WLIW 21 in January. "DCI Banks" is back. Stephen Tompkinson reprises his role as Detective Chief Inspector Alan Banks in the fifth series of the contemporary crime drama that premiered on ITV in the United Kingdom August 31. “Coming back to Banks is like meeting up with an old friend,” Stephen says. In the newest series, Banks’ relentless pursuit of justice sets in motion a chain of events that rips at the very core of his life both professional and personal. 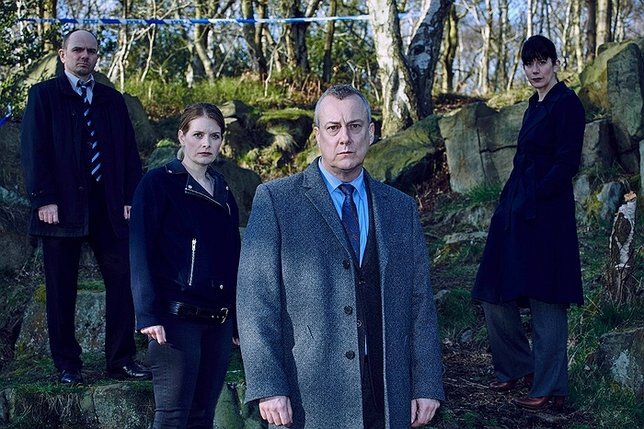 WLIW 21, which serves Long Island and New York metro area, will air the fifth series of "DCI Banks" starting January 7. Stephen is a beloved and popular actor in the United Kingdom, and has garnered fans in the United States for his portrayal of the determined, dogged detective Banks. An extremely versatile actor, Stephen moves freely from comedy to drama on stage, television and film. In his 27 year career, he has worked almost non-stop. Reading Stephen's CV reveals how much we in the United States have missed out on. Fortunately, DVD's are now available of some of his work, including TV series "Ballykissangel," "Wild at Heart" (which ran from 2006-2013 and was filmed on a game farm in Africa), "Drop the Dead Donkey," as well as "DCI Banks." Unlike the glum, taciturn Alan Banks, Stephen Tompkinson is affable, charismatic and happy. We caught up with Stephen shortly after he finished filming Series 5 of "DCI Banks." Phyllis McGuire: When you embarked on your career as an actor, what was your goal? Stephen Tompkinson: I think when I first started out as an actor, all I was hoping for was to work. Being a pragmatist I've always been aware of the high percentage of unemployment among actors, consequently I've always been grateful for any job I've been given or asked to take part in. PM: Have your goals changed as your career progressed, and what are your current goals? Stephen: I think the older you get, the more aware you are of how youth and 'look' obsessed the industry can be. The wedge gets thinner and the angle more acute as time goes by and the availability of parts available for actors my age are fewer, yet there are still as many actors of a similar age going up for them. So the desire never falters, nor the gratitude. As much as one can try to plan a career, I've always tried to do something different from the last role, be that in terms of tone or mediums. I was trained at The Royal Central School of Speech & Drama, which was stage based, I started off in radio ,joining the BBC's Radio Drama Company and have avoided being typecast or pigeon-holed in how I'm perceived on TV & film, with a consistent variety of parts. There are no limits to imagination or the creative minds of writers, directors, designers or actors, so I have never wanted to limit myself, if possible, and I hope to continue on that course for as long as I'm allowed. PM: You have a stellar reputation for convincing an audience you are indeed the character you are portraying –whether it be a priest, construction worker, teacher, trucker, journalist, under-cover detective, etc.–which of the many characters you have played was most challenging? Stephen: Of all the characters I've played, I think the part of Phil (a coal miner) in Mark Herman's film 'Brassed Off' opposite Pete Postlethwaite, Ewan McGregor and Tara Fitzgerald was probably the most challenging. It was my first Big Screen role, which does require a different set of disciplines that I had little experience of. It was also capturing a devastating time in modern British social history that we all felt a duty of care to portray as honestly as possible, and we were working alongside a group of miners and musicians who had lived this story, so we were desperate to get it right, for them. PM: What character was most fun to portray? Why? Stephen: I always try to have fun wherever I'm working but the fondest memories were on the set of 'Drop The Dead Donkey,' a satirical sitcom set in a TV newsroom. It used to be broadcast on Thursday nights and we would record it the night before, in front of a live audience, with a quarter of the show being given to us on the day of recording, so it was as topical as possible. I was deeply proud that the show won dozens of awards, including two international Emmy's, and I'm always thankful for the opportunities it brought. PM: You have been quoted as saying that being a detective (policeman) such as Alan Banks, whom you portray in the TV series "DCI Banks," based on Peter Robinson's novels, is a vocation not just a job as it takes control over your life. Do you find that your career as an actor is more or less consuming? Stephen: One of the things I most admire about my character, Alan Banks, created by the brilliant Peter Robinson in his novels, is the man's dedication to his job. It is a true vocation to him and I can't imagine him in any other line of work. It takes a special breed of person to work in the police force or the healthcare industry and I'm not sure my sensibilities would permit me to carry out the amazing and essential work they do. I can't truly draw any comparisons with my work. I hope I'm as dedicated to my profession and I put as much effort as possible into it, but don't like to bring my work home with me. That is private family time and I wouldn't like the credible spectre of self indulgence to be all-consuming . PM: You have worked almost non-stop as an actor who has said, "I enjoy mixing and matching the mediums" -theatre, television and movies. Is there any role you rejected only to later regret passing it by. And is there any role you still aspire to play? Stephen: There are so many different parts to be played out there, that have been written and have yet to be written, in all different mediums and (I) don't want to hold out for one or two specific roles and want to keep myself open to as many things, yet untried, as I can. PM: Do you follow a process in preparing for a role? Stephen: I don't have a routine preparation for each role as hopefully, each role is different. Each character is unique, so I like to spend time creating their individual look, sound, costume, profile and back story. If I'm working away from home I like a few days by myself in the area where I'll be working, to feel as settled as I can before starting work. PM: Do you observe any theatre superstitions? Or have you developed a routine you feel compelled to follow before performing? Stephen: I find the same with theatre, you tend to develop a routine according to that specific production, director and company of actors. Some require a company warm-up, others benefit from two or three actors speed running individual scenes, other people need their own space and time, so it all depends. I need to really familiarize myself with the building and everyone who works there, front of house and backstage, as you rely on all of them. I need to get my costume and props routine engrained deep in my muscle memory as early as I can, so I always feel on top of those aspects and can look forward to each different audience who make each show slightly different, from the last. PM: Would you consider working on a big or small screen production based in the United States? Stephen: I have great affection for the United States but as yet, I've never been asked to work there. I would dearly like to, no matter what the scale of production, film ,TV or stage, I would simply relish the opportunity. PM: In your visits to the United States what most impressed you? Stephen: I've always adored visiting the U.S. I'm a massive movie fan and cities like New York Or San Francisco are just huge movie sets that always excite and thrill. PM: What would you consider an ideal vacation? Stephen: I like to travel and am currently visiting Dubrovnik (Croatia) for the first time. The Medieval part of the city, clear Adriatic waters, beautiful climate and restaurants make it an ideal vacation site. PM: How do you unwind after a performance? Stephen: I unwind after work by reconnection with my family, who is my real life. 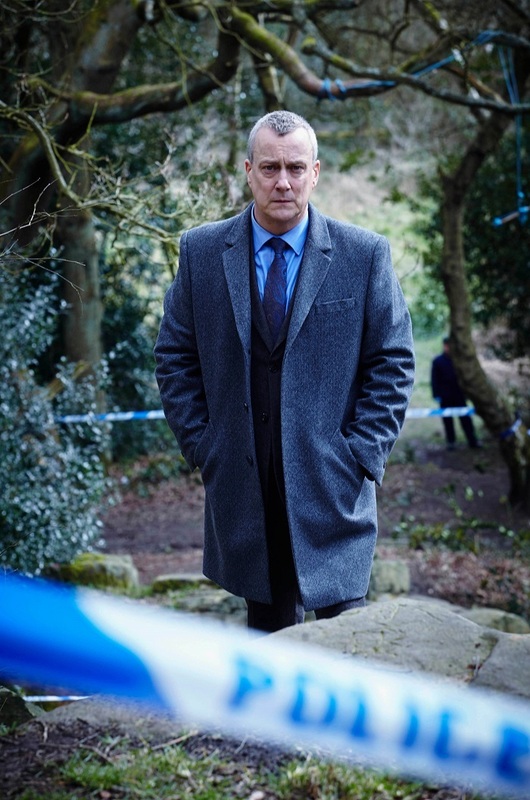 The first episode of "DCI Banks" Series 5 will premiere on WLIW 21 on Saturday, January 7th at 9:30 PM. Hibachi Hot Spots: Dinner & A Show! Subject: LongIsland.com - Your Name sent you Article details of "Stephen Tompkinson, Star of "DCI Banks," Reflects on His Show and His Career"